Discover unparalleled freedom with JetCard. Explore the most exclusive global city destinations this winter. Winter months means plenty of sunshine for Argentina from December to March. 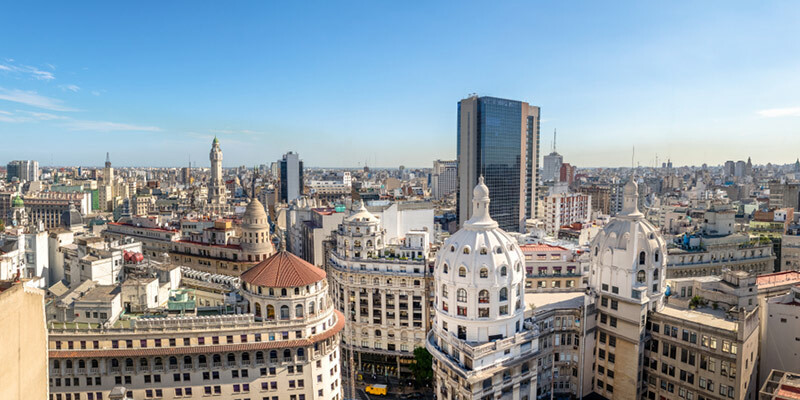 Buenos Aires offers both sophistication and glamour - perhaps why it has been dubbed “Paris of the South”. The Recoleta area is rich with history and culture: sightsee the stunning city architecture, watch the finest Latin American plays in the theater district, and shop at the posh boutiques. Learn Tango in the city of the dance’s origin, stay the night in Palacio Duhau’s old mansion 19th century splendor. Don’t forget to stop by the Palace of the National Congress and steakhouses of Puerto Madero. For your return trip, arrange a short flight from Buenos Aires to Mendoza's wine region. There should be plenty of room in the baggage area of your private jet to carry back a case (or two) of Mendoza’s best Malbec - that ought to to keep you warm throughout the winter. Averaging 60 to 64 degrees during the winter, the Algarve will provide a warm welcome break. With a fascinating history and an abundance of Portuguese charm, the city center has pedestrianized shopping streets and a peaceful feeling to the plazas. Nearby, there are exquisite beaches, cliffs and hiking trails to explore and enjoy. Madrid winter weather is comprised of crisp days, but bright blue and sunny skies. Locals enjoy to sit out on street terraces throughout the winter months. The heavy dishes of Madrid’s specialty cuisine are best suited to enjoy during the cooler season, such as roast suckling pig. Much like most European cities, Madrid gets into the festive spirit with Christmas decorations and markets throughout the streets and plazas. For a cozy late night drink during the winter months, explore one of the many basement-caves in Madrid’s old center. With its favorable subtropical climate, Madeira is ideal if you’re looking for somewhere a little warmer this winter. You will find the beaches and green scenery even more breath-taking without the crowds of peak season, but still enjoy the mild climate. The island is often frequented by the more active traveler, with extensive hiking and trail running along old aqueducts in the mountain. The surfing is also excellent, with the winter months often being the best time to enjoy the Portuguese waves. You can dolphin and whale watch all year round and are, in fact, more likely to see the rarer species at this time of year.